Both an aunt and a cousin have done extensive research on the Wiggins and associated surnames. I am slowly getting as much information as I can find added to the website. My Grandfather on my mother's side was Jasper Franklin Wiggins. He was born in Truce, Pennsylvania in 1885 and died in Findlay, Ohio in 1974. Several generations of Wiggins were in Pennsylvania, starting with Robert Wiggins, who was born in Kent Co, Maryland but had moved to Pennsylvania by the time he married in 1806. 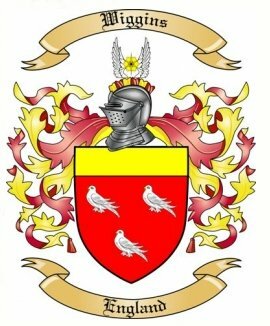 The oldest Wiggins ancester that we know is Charles Wiggins (father of Robert). He moved from New Castle Co, Delaware to Kent Co, Maryland in the 1780's. Bowman - back to Henry Bowman, born in the mid-1700's. Herr - back to John Kendig Herr, born in Zurich, Switzerland around 1677 and moved to Lampeter Twp, Lancaster Co, Pennsylvania. I have another 5-6 generations of Herrs in Switzerland but no real evidence to support. The oldest is Niclaus Herr, born in 1460. Hambleton - back to James Hambleton, born 1692 in Solebury, Bucks, Pennsylvania. Greenleaf - from the Hambleton line, we connect to the Greenleafs. Stephen Greenleaf, born in Ipswich, England in 1628, settled in Newbury, Massachusetts. Others lines include Lupton, Twining, Paxson - more information on these as time allows. John Kendig Herr - from Zurich, Switzerland.